Protect your home better than ever better with an impressive seamless gutter system from the experts at ABC Seamless of Albuquerque. We have proudly served the area since 1989 by providing homeowners with impressive home remodeling services that are designed to increase the functionality of your gutter and leave you better protected against all weather elements. While rain in the area is few and far between, it is important to be prepared for all possible scenarios. With a reliable gutter guard and seamless gutter system in place, your home will be ready for whatever Mother Nature has to offer. 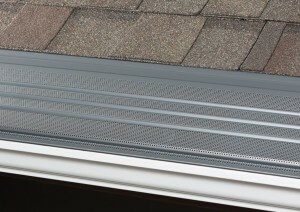 The gutter guards we offer will effortlessly protect your home from moisture damage that can occur when your gutters begin to break, leak, or crack. By ensuring that no debris lands in your gutter system, your new seamless gutters will be able to effectively channel water away from your home better than ever before. To learn more about the seamless gutters and gutter guards we offer to homeowners in Rio Rancho, NM, and the surrounding communities, contact ABC Seamless of Albuquerque today. When you do, make sure to ask about the convenient financing options available to qualifying homeowners.